Posted January 23, 2019 & filed under Fire Alarm Systems, Fire Prevention. If a fire were to start in your commercial building today, it could do cause expensive damage and bring operations to a screeching halt. It could also open you up to all kinds of lawsuits if a fire inspector discovers that you could have done something to prevent the fire from spiraling out of control. With these things in mind, you should do everything you can to stop fires from starting in your commercial building in the first place. Here are three tips that will help protect your building from fires. Inspect the fire detection equipment in your commercial building regularly. 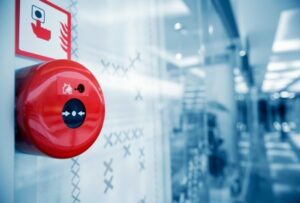 You should have a lot of fire detection equipment, including smoke detectors, fire alarms, and more, scattered around inside of your building. You should walk around at least once every month or so to make sure none of this equipment has been taken down or moved. This will ensure that it’s ready to spring into action should the need ever arise. Test the equipment out to make sure it’s in good working order. In addition to inspecting your equipment to make sure it’s all where it’s supposed to be, you should also test your equipment out and see if it’s working the way it should. You should bring in a professional company as well to test out your more advanced fire suppression equipment, and you should invest in equipment from reputable brands, such as Simplex or Siemens. Maintain your equipment as necessary and replace equipment that is outdated. Most of your fire detection equipment will need to be maintained at one time or another. That might mean doing something as simple as replacing the batteries in it or keeping it clean so that it can detect fires more easily. Over time, your equipment will also become outdated and need to be replaced. Don’t put off replacing equipment any longer than you should. It is wise to keep copies of the paperwork you receive when your system is inspected. You may want to keep both hard copies and copies on the cloud as well. Make sure that pull stations are visible and unblocked. Often times, office equipment, plants or some other form of obstruction is blocking a very important feature of your building. Always make sure exits are unobstructed, even if it’s a door that as rarely used. Try to do periodic trainings with employees to make sure they know how to react in the case of a fire. Do you have fire detection equipment in your commercial building that needs to be replaced? 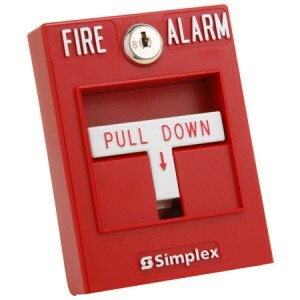 Life Safety Consultants offers a wide range of smoke detectors, pull stations, and more, including myriad options from Simplex. Call us at 888-557-0558 to make your commercial building as safe as it can be.